Despite early season rumors of Mattingly getting fired, Donnie has managed his team back into the division race after a private meeting with Dodger executives. The Dodgers are now 43-45 and are in 2nd place in the division. A lot of injuries had plagued the team. Now with Yasiel Puig and Hanley Ramirez igniting the clubs offense, plus Zack Greinke coming back to the Starting Rotation, the team has begun to gel. But it is also the secondary players that have provided some clutch play of late. Throughout the entire season the Dodgers have had stuggles having a reliable cleanup hitter as Matt Kemp hasn’t been the same and has been getting hurt again. 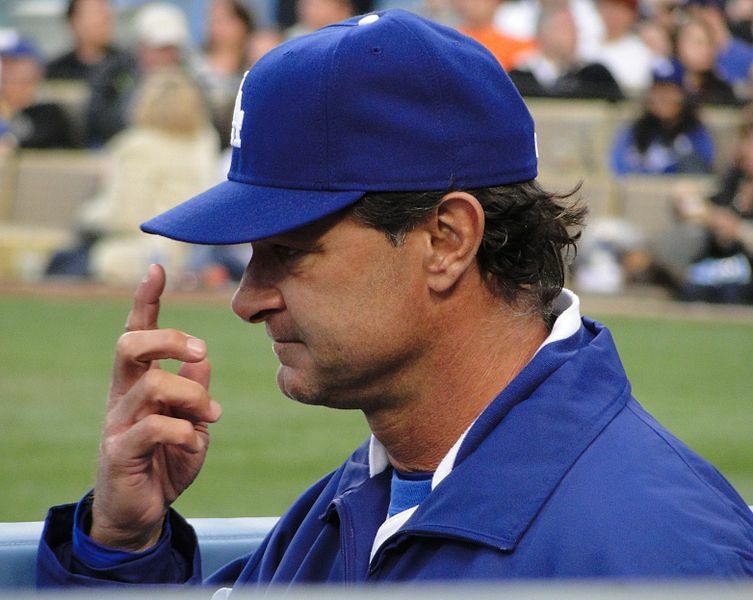 Finally they have a guy who Dodger skipper Don Mattingly can be confident about placing in the cleanup spot in Hanley. Earlier in the season, when the Dodgers were really struggling to pick up any kind of momentum, Mattingly was receiving a lot of criticism. Including rumors going around that his job was in great danger. The Dodgers front office that included president Stan Kasten had a private meeting with the Dodgers’ skipper to reassure they’re confidence on Mattingly. Much credit has been given to the Dodger front office and Mattingly on their recent success that has gotten them into 2nd place in the division. 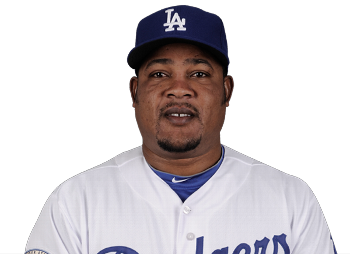 Juan Uribe was signed to a 3 YR contract by the Dodgers for $7 MIL per season. He had been a complete bust in the 1st few years – hitting under the Mendoza Line and only playing 143 Games in 2011 and 2012. 2013 has been a different story. Another quiet Dodger hero is third baseman Juan Uribe. 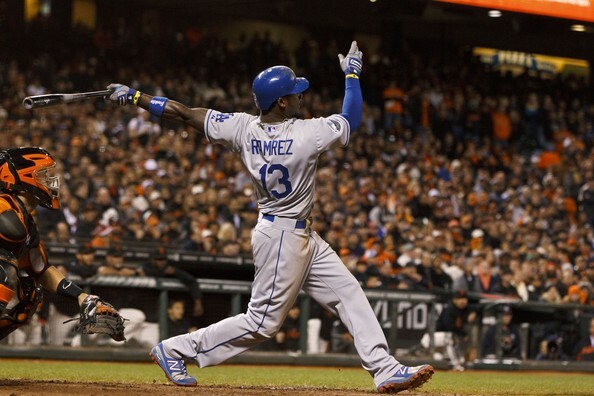 The 3-year deal is finally working as Uribe is hitting .269 with 5 HRs and 27 RBIs. Uribe even had a career game against his former team Giants in AT&T Park as he brought in 7 RBIs with a HR – and was a single shy from a cycle. He had a combined 6 HRs in his first two years with the Dodgers. A little bit of confidence has been given back to the Dodger closing situation when Kenley Jansen took over for Brandon League. Jansen has now converted 9 saves and has put together a 2.49 ERA with 60 Ks. Kenley Jansen has taken over the closer roles for the Dodgers and has been pretty solid. Jansen has converted 9 saves out of 12 opportunities and has put together a modest 2.49 ERA with 60 Ks. 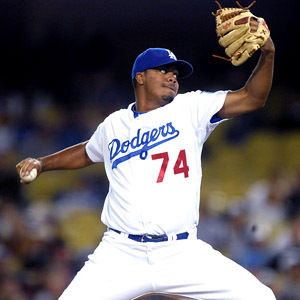 Faith and confidence has been put together in the late innings since Jansen took over for Brandon League. Hyun-jin Ryu has been consistent with his 7-3 record and 2.82 ERA as he has followed up Clayton Kershaw‘s dominant outings. The left handers has been all the consistency in the Dodgers’ pitching staff. 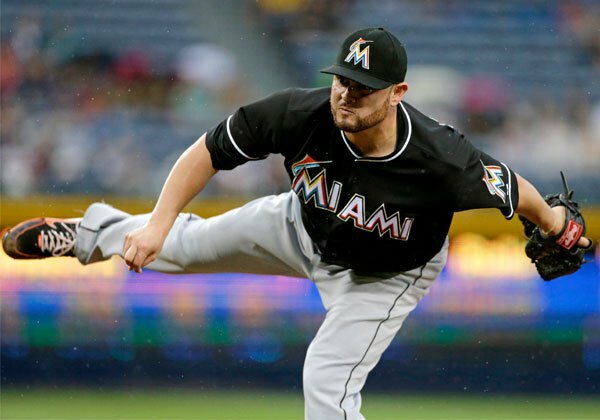 Dodgers noticed their inconsistency outings out of their other pitchers so they picked up RHP Ricky Nolasco in a trade with the Miami Marlins. The Dodgers sent three pitching prospects to Miami for Nolasco. Dodgers also agreed to pay the rest of Nolasco’s contract. Ricky Nolasco was 5-8 with a solid 3.85 ERA in 18 games started with the Miami Marlins. The trade hopes to give consistency and pitching depth for the Dodgers. Nolasco is a SoCal native and has a career 81-72 record with a 4.44 ERA and 1,001 Ks. He debuted for the Marlins in 2006 as he put together a 11-11 record 4.82 ERA in his rookie season. The Dodgers have a chance to take the lead in the NL West before the all-star break as they will begin a three-game series against the division leaders Arizona Diamondbacks on Monday and then begin a four-game set against the Colorado Rockies at home. The Dodgers will also send only one player as of now to the All-Star game and that will be Dodger ace Clayton Kershaw. Dodger rookie Yasiel Puig and veteran first baseman Adrian Gonzalez are final five nominees for the All-Star Final Vote for the National League. The Dodgers are currently 43-45 in the year and have sole possession of 2nd place. They are only 3.5 games behind the Arizona Diamondbacks. They continue a three game series with Arizona starting Tuedday as they will attempt to pick up a few games against the division leaders. Ricky Nolasco will be taking the hill for his 1st start as a Dodgers pitcher. Matt Kemp was also placed on the 15 DAY DL. 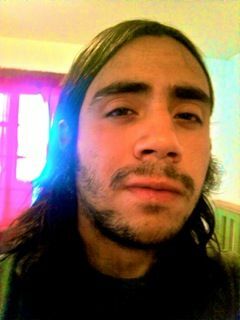 Posted on July 9, 2013, in MLB Teams: Articles and Analysis, The Rest: Everything Baseball and tagged 2013 All-Star Game, @eriqwiththeq on twitter, adrian gonzalez, arizona diamondbacks, brandon league, clayton kershaw, colorado rockies, don mattingly, hanley ramirez, Hyun-Jin Ryu, juan uribe, kenley jansen, los angeles dodgers, matt kemp, miami marlins, petco park, ricky nolasco, san diego padres, san francisco giants, yasiel puig, zack greinke. Bookmark the permalink. Leave a comment.